Lettuce rejoice, spring is just around the corner and that means it’s time to go green again! As we get ready to welcome back the salad days of belonging to Off the Vine, it seems like a good time pay tribute to the gold standard of the eating healthy movement. You can have your Cobb, Chef, Greek, French, Mesclun, Tossed, Wedge, Niçoise, Mâche, etc. 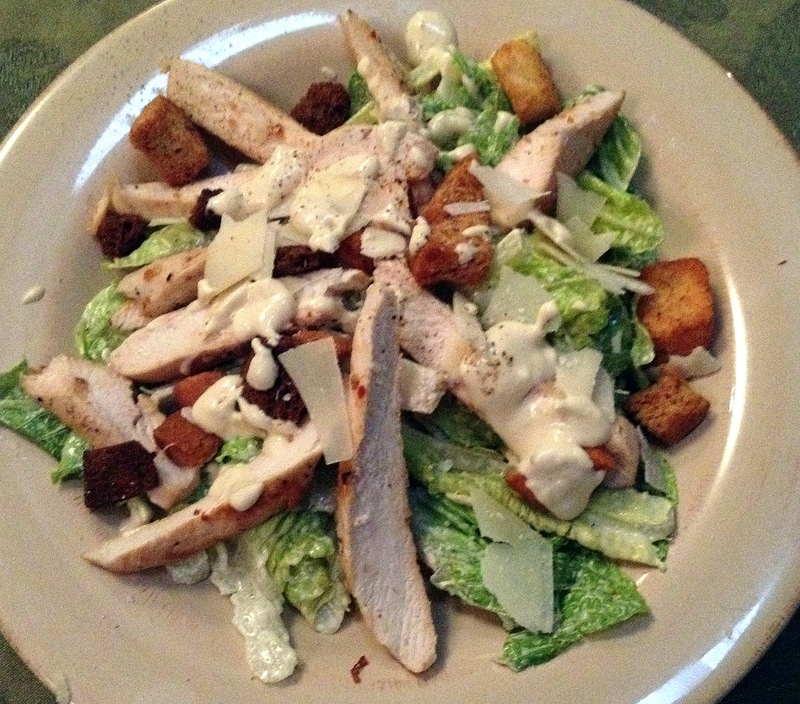 but as far as I’m concerned, the emperor of them all is the caesar salad. According to Wikipedia, the salad’s creation is generally attributed to restaurateur Caesar Cardini, an Italian immigrant who operated restaurants in Mexico and the United States. Cardini was living in San Diego but also working in Tijuana where he avoided the restrictions of Prohibition. His daughter Rosa recounted that her father invented the dish when a Fourth of July 1924 rush depleted the kitchen’s supplies. Cardini made do with what he had, adding the dramatic flair of the table-side tossing by the chef. I prefer the story, that I just made up, that it’s named after the Roman emperor Julius Caesar, who, upon conquering Egypt, was heard to exclaim, “I came, I saw, I conquered! Now does anyone have something green to eat, perhaps with a little parmesan, lemon and anchovies?” However, I’m willing to give Mr. Cardini his due, and do hereby decree that I have not come to bury his salad, but to praise and eat it. Let’s be clear about this, when it comes to this salad, or just about any salad for that matter, what we’re really talking about is the dressing. Let’s face it, anyone can throw some greens down, toss in a few stray items, and serve it up. Without the right dressing, we’re not really talking about a salad, are we? Sure you can squeeze a lemon over a plate of fresh veggies and call it a salad, but you can also drop a slice of lemon into water and call it lemonade. We both know you’re just kidding yourself. 1. Blend anchovy fillets, garlic, olive oil, Worcestershire sauce, mustard and hot pepper sauce in processor until smooth. Transfer to small bowl. Whisk in mayonnaise, 2 tbsp cheese and 2 tbsp lemon juice. Season with salt and pepper and more lemon juice, if desired. 3. If you’re a purist, you will also add a few fresh anchovies at this point.